This maroon colored traditional styled kippah is proudly worn by Jews of Bukharian descend. 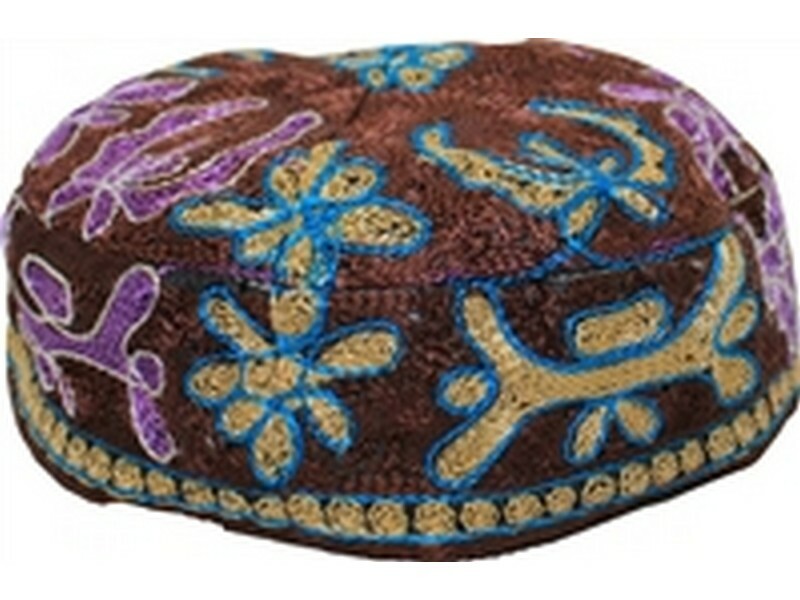 The flat top style and the thick matching band around, holds the kippah firmly on the head. The Kippah is decorated with colorful traditional Bukharian designs.